Review Summary: An entertaining film. A middle of the road biopic. Sushant delivers a brilliant performance. Too vanilla for a biopic! Sushant Singh Rajput delivers his career best innings in this long yet engaging biopic! Watch it if you love cricket,watch it if you love movies! Definitely watch! 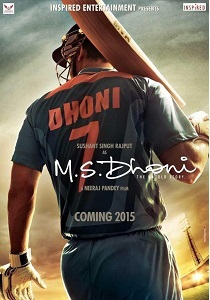 For all Dhoni fans, this film will be a treat. The cast has given their best shot and this is apparent on the screen. Every technical work went hand-in-hand to make this one a definite watch. The director also reconstructed the World Cup match scene which simply gave goosebumps to the audience. Most of all, Sushanth should be congratulated for his performance and Neeraj Pandey for delivering this product. MS Dhoni The Untold Story Pulls Your Emotions Out! For a country like India where no religion is greater than cricket, MS Dhoni The Untold Story achieves its purpose: it has blockbuster written all over it. Not Just A Biopic, But A Milestone In Sushant's Career! Sushant Singh Rajput delivers his career best performance! MS Dhoni is yet another safe, simple, decently directed, decently enacted, never-ending ode to Dhoni without any crisis to deal with. Watch it only if you are a Mahi fan. 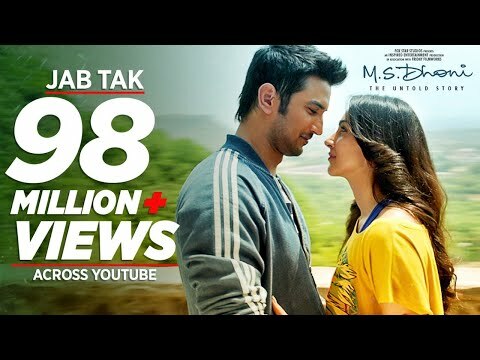 Neeraj Pandey’s biopic of charismatic cricketer and team captain Mahendra Singh Dhoni features a dogged performance from Sushant Singh Rajput. Also, there are plenty of heartwarming moments in the film, which will be loved by the viewers and may prompt them to repeat the film despite its long running time. When India is reeling at 114 for 3 against Sri Lanka in the cricket world cup final of 2011, a man decides to take charge of the situation. Amaal delivers as per expectations in perhaps his biggest (solo) album as a composer. It is crowd-pleaser and in a nation where no religion is greater than cricket and Bollywood, the combination of both makes for a great watch. For a film that starts off so well, “M S Dhoni: The Untold Story” is unable to achieve what its subject has made an art out of - finishing off in style. Fails to explore the 'untold aspect' of MSD, yet entertains! Overall, the film is not as exciting as a one-day cricket match. Instead, it is like a Test series that definitely touches the right nerve. The movie will get you close to Dhoni like never before and it will be with you every time you watch him go onto the field, take his stance and blast the ball out of the park “Classic Dhoni Style”.